Soil Health Nexus > Blog > Manure > Manure and Soil Health: What is the State of the Science? Manure and Soil Health: What is the State of the Science? Can manure be both an economic ‘Win’ and an environmental ‘Win’? What fields provide the best opportunity for Win/Win? 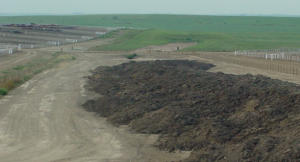 What exactly are the environmental and soil health wins associated with manure? Can we test soils so that we better understand the value of manure nutrients and carbon? What are the biological processes in a soil system that benefit from organic fertilizers? These and other questions are the topics a new working group addressing Manure and Soil Health (MaSH) plan to address. Figure 1. Manure’s fertility value can be a financial win. Manure’s soil quality value can be an environmental win. But all fields do not benefit equally. Where are manure’s Win/Win opportunities? US agriculture has transitioned through two or more generations of crop farmers that have NOT always utilized benefits of manure. The art and science of recycling manure nutrients and carbon has been lost due, in part, to availability of inorganic fertilizers. The recent Confined Animal Feeding Operation regulation of manure management has reacquainted many farms with manure’s nitrogen (N) and phosphorus (P) value and risks. Recycling manure N and P in crops is increasingly accepted in most agricultural communities and highly valued and sought after in some. The carbon in manure is a beneficial element for soils, leading to greater water infiltration, less runoff and erosion, and improved soil drought tolerance. However, the value of manure’s carbon (or organic matter) remains a mystery to many managers of crop and soil systems. The carbon in manure is a beneficial element for soils, leading to greater water infiltration, less runoff and erosion, and improved soil drought tolerance. These advantages are generally connected with changes in soil structure including greater aggregation of soil particles. In addition, manure’s properties have been reported as benefiting soil pH, diversity of soil organism diversity, disease suppression, and cycling of soil nutrients. Figure 2. Fifty to 85% of manure’s dry matter is organic material. Organic matter is the energy source essential to a healthy soil microbial system. Capture and summarize this knowledge through this MaSH blog. We encourage your attendance of one or more of our live MaSH Roundtables or their archived recordings available in late February. Our hope is that this discussion of Manure and Soil Health will help us better tap into the Win/Win opportunities for manure in our cropping systems. It’s great that organic fertilizers, like manure, can make the soil more tolerant of droughts. I have no idea why that is, but it’s great! Our summers are really hot and really dry, so I need to start using more manure in my garden.